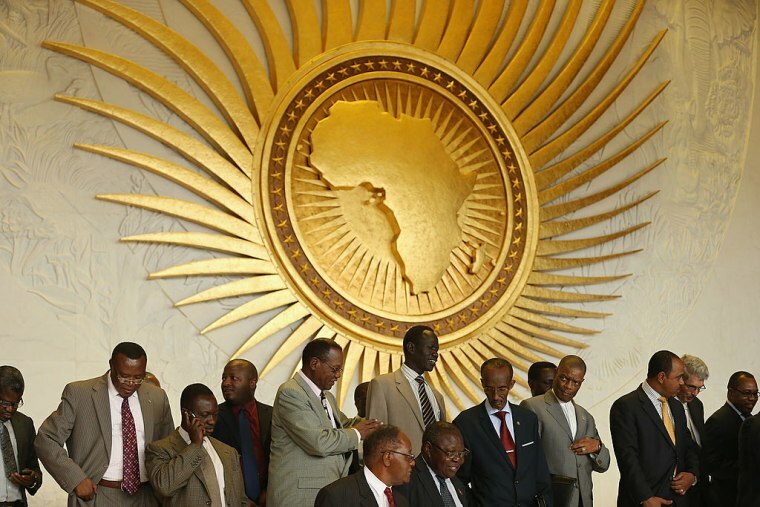 Trump’s immigration ban includes people with passports from three countries that are members of the African Union. Donald Trump's immigration ban, issued through executive order on Friday, has presented an international crisis and some foreign leaders are speaking out. During a meeting of the AU's 53 member states in Addis Ababa, Ethiopia on Monday, South Africa's Nkosazana Dlamini-Zuma, the head of the AU commission said Trump's ban is “one of the greatest challenges” for the continent, The Independent reports. “The very country to which many of our people were taken as slaves during the transatlantic slave trade has now decided to ban refugees from some of our countries,” said Dlamini-Zuma. Trump's immigration ban has prevented people with passports from three African nations — Libya, Somalia, and Sudan — from entering the U.S. The ban also denies entry to visa holders from Syria, Iraq, Yemen, and Iran. The executive order sparked widespread protests at international airports and in cities across the U.S.
United Nations chief Antonio Guterres also spoke out against the ban during the two-day summit: "African borders remain open for those in need of protection when so many borders are being closed, even in the most developed countries in the world."